﻿ Chana Place, Chiang Mai | FROM $9 - SAVE ON AGODA! Have a question for Chana Place? "The beds are comfortable, showers hot and location great." "Rooms are large and spacious and are cleaned everyday." "PERFECT location, accommodating staff, hot showers." "This place was good value for the cost." 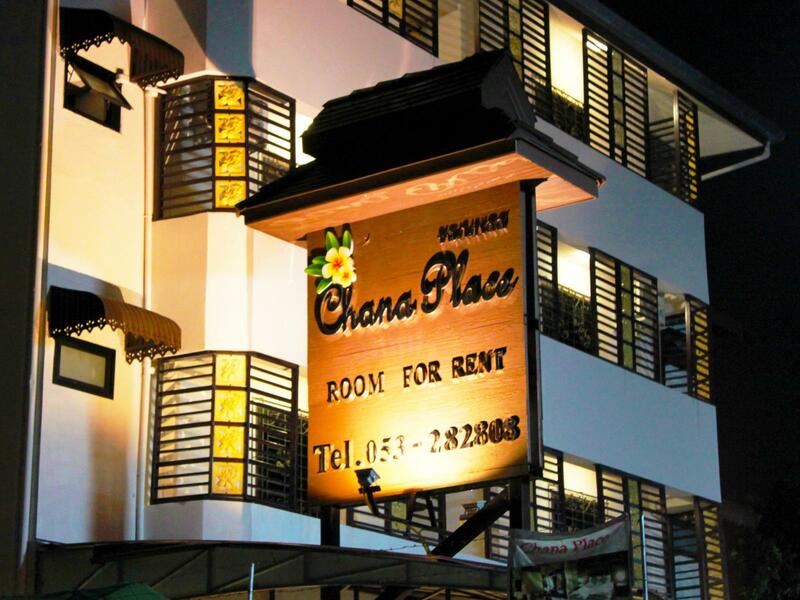 See all the sights that Chiang Mai has to offer with your home base at the Chana Place. The property is near Phajao Mengrai Temple, Muennguenkong Temple, Wat Phra Chao Mengrai Temple, Thai Dessert, and The Yoga Studio. 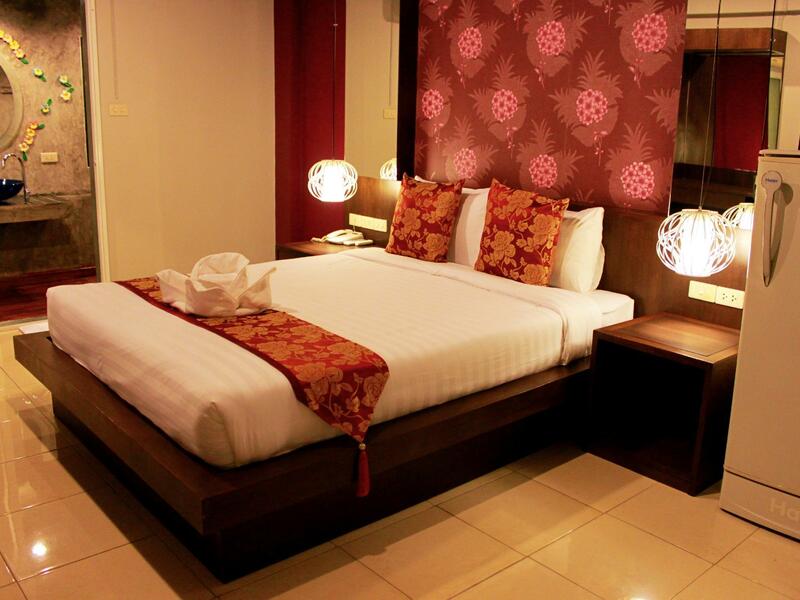 It is equipped with family rooms, so your entire family will have ample space to have a good time together. The Chana Place has various convenient features, such as a currency exchange and a smoking area. If you want to spend the day simply relaxing and unwinding, get a massage nearby. With guided tours available, the Chana Place is a great spot to stay to learn about the area. 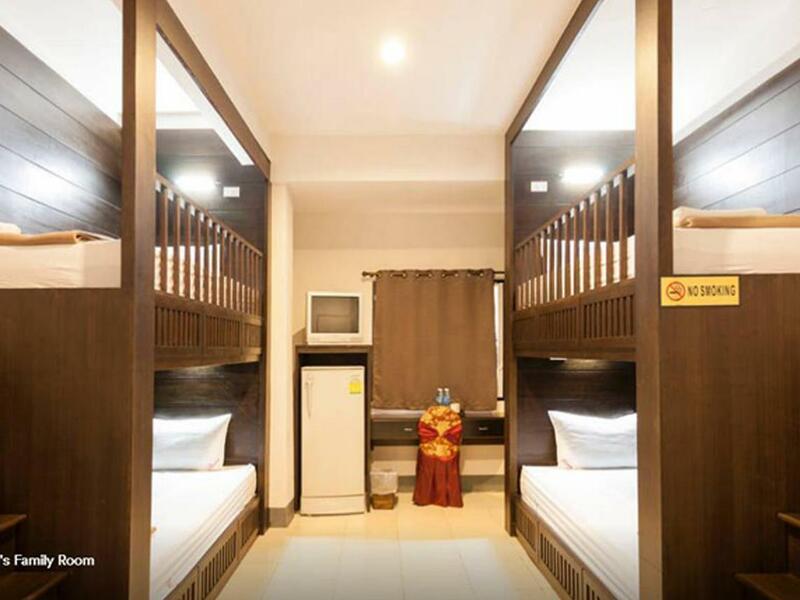 This property features air conditioning, so your stay will be comfortable. The Chana Place provides free Wi-Fi in all rooms, as well as Wi-Fi in common areas, so guests won't have to worry about buying a local sim card. The property offers a range of convenient services, which include laundry services, daily housekeeping, and luggage storage. It features a front desk that's open around the clock, so there is always someone on call to assist with any questions that you have. It is pet-friendly, so you don't have to deal with the stress of finding someone to look after your pet while you're on vacation. The Chana Place provides a range of transport options, such as airport transfers, bicycle rentals, and car rentals. Chiang Mai Railway Station is 3.7 km away. 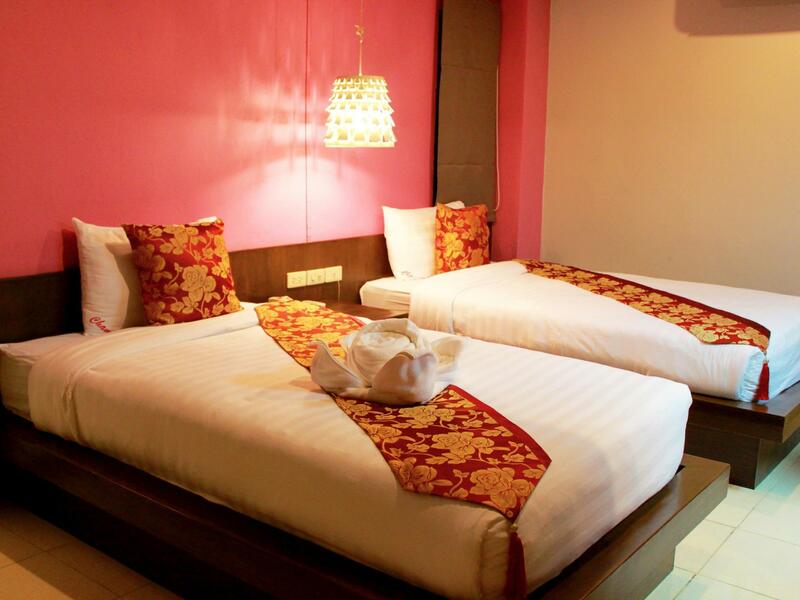 The nearest airport is Chiang Mai International Airport (CNX) which is located 15 min away. 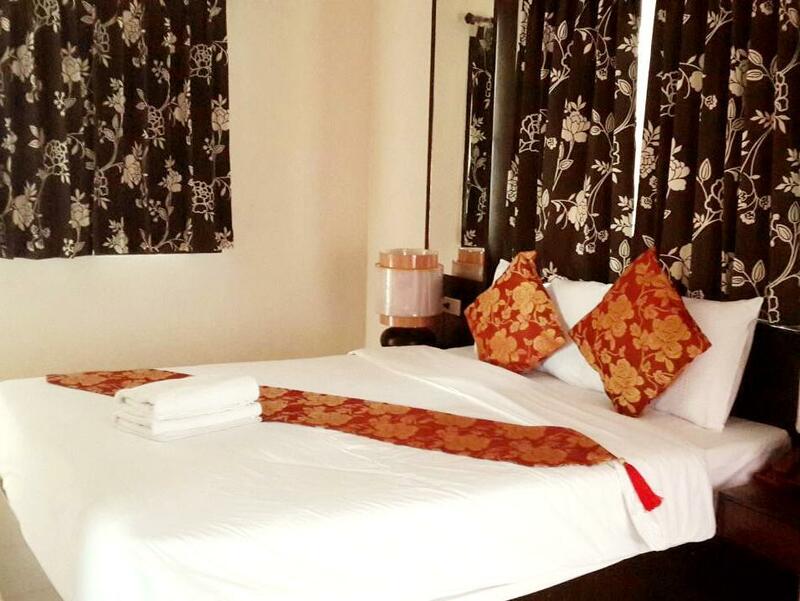 "Great room and nice staff"
The property requires a refundable security deposit of THB 500 upon check-in. We stayed here for 4 nights and loved the location, it was right in the centre of the old city just minutes walk from the walking street and the beautiful Buak Hard public park. The staff were very nice and helpful and assisted us when we needed them. Room was clean, however the bathroom had many ants around the sink area.. But the shower was amazing, powerful and hot! The air conditioning was loud through the night and was leaking water one night. Apart from that we really enjoyed our stay here and would definitely would stay again. Price was right for room type and location, which was quiet and near to the only decent green space in the city. The breakfast venue is very limited and not too many other places nearby. Most of the restaurants we wanted to eat in were in either the north or upper west side of the old town but very accessible by scooter. The A/C in the room was noisy but we didn’t need to use it anyway. Bed was comfortable if you’re used to the Thai craze for hard mattresses! Thank you For your review. And Sorry for the inconvenience caused to you. Clean, very friendly staff, good location. The room decor is a little dated and the bed was quite hard, but those are very small things. For the price and location, this was an excellent place to stay. Thank you so much . And we apologize for any inconvenience. We walked in & were amazed! $10/night for this luxury place?! So cute! Our first night was great, we went for a day trip & came back....smell of mold/mildew overtook the room. There was one little window in the bathroom w/o a screen so we opened it, but feared for mosquitos. Shower was a trickle of water, our toilet sprayer leaked & the pipe leaked water all over the floor too. Other than those issues is was good—Location was perfect, large room. It's clean. If u like mirror, u will like this place. Small toilet on room. Window was broken. Staff are ok. Nice for support. We are sorry for the mistake. Thank you for your review. We will be used to improve. Bad wifi, smoking area at base of Atrium so all the hallways up stairs stunk of cigarette smoke. 500 bt key deposit required because its attached to the device that shuts off the electricity when you are out of the room, thereby making it impossible to have comfort when you return because the AC is off while you are out. No do not disturb sign provided. I sincerely apologize for having overlooked the issue, it was a mistake, and I will make sure it doesn’t happen again. Sometime European & Chinese speaker are noisy till mid-night for chatting or early morning for departure, but for me was OK (depends your room position) They have TV, small refrigerator, air-conditioner, renovated bathroom, cleaning everyday, and weight scale but no elevator. I will come back to stay for next time. Thank you for your review.We will develop and improve. Got a decent sized room this time most importantly the bathroom is of good size. A kind of windowless situation in most rooms. Popular with Chinese tourist which comes with an increase noise level during the night door banging , talk, walking. Good staff, great amenities-bikes, motorbikes, washing machines, travel agent, nice clean, quiet rooms that looked more like a hotel room than guesthouse. Only issue-20min walk to happening areas, but if get bike, no problem. The staff were friendly and helpful the room was nice and clean. The location is very good and easy to get around the down town area. They rent motor bikes at a good rate. I will stay there again worth the money for the value. peacefully situated in the alley behind the busy road, it is very near to the South Gate. What we enjoyed the most is the eating street near the South Gate that offered wide selection of local foods. We had noodle soup every night as we just couldn't resist the good taste. The small stall in front of the hotel also offered very good noodle. Good start as breakfast. Most attractions are within walking distance (10-20min) in the old city. Night bazaar is a bit too far but fine to take song taew. Another good thing is the hotel is 10min away (by foot) from Saturday Walking street. Good choice to avoid the traffics. Overall stay is good. It's nothing to write home about, but for its low price, Chana Place is everything you need if you plan to be out and about during most of your day anyway. The bed was big, there's even a TV, the bathroom was spacious for one person but I felt it was a little grimy, and they even have coin-operated washing machines. I would categorize it as a nice motel for backpackers kind of place. Great affordable and clean rooms. Nice ambiance. Thank you for your review .I will be used to improve. Everything fine -tv could have more English channels and they should be better adjusted. Aircon was fine even it looked older it wasn’t noisy and did the job. Cleaning could be improved by a nod. Overall good if you can catch a deal around 10$ but prices seem to go up and down a lot.